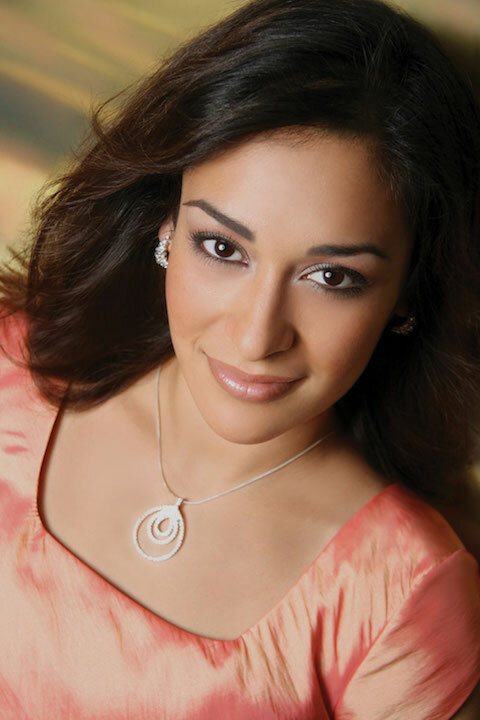 Classical music: The Opera Student Showcase concert this Sunday afternoon will introduce David Ronis as the new director of University Opera and spotlight University of Wisconsin-Madison graduate soprano Shannon Prickett. 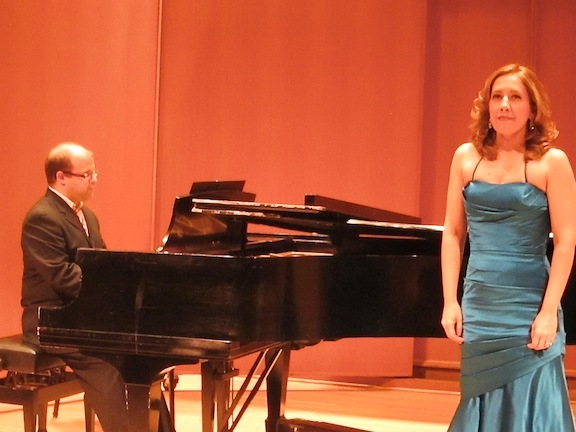 “A concert of favorite melodies by Vincenzo Bellini, Giuseppe Verdi and others -– mostly operatic but one clearly comic -– will be presented by students from the University of Wisconsin-Madison School of Music’s opera program. 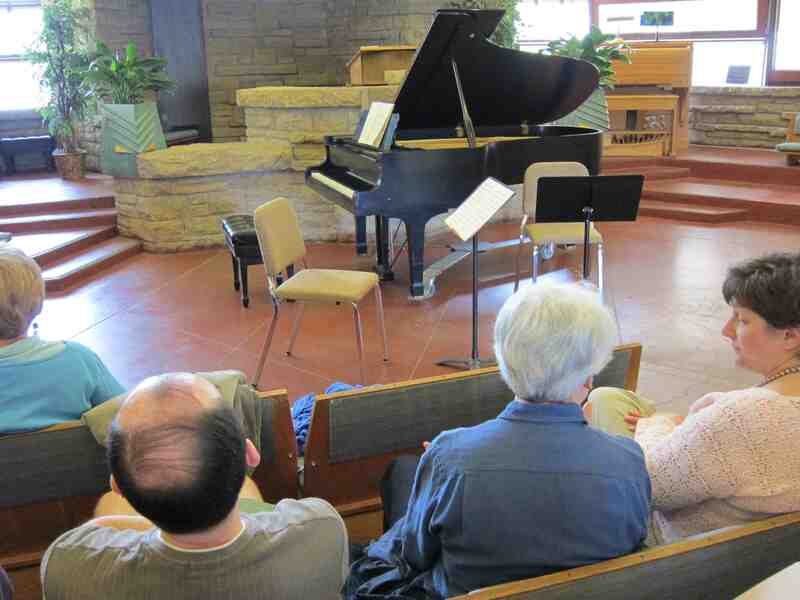 The concert will take place this Sunday afternoon, September 14, at 3 p.m. in the First Unitarian Society of Madison’s Landmark Auditorium (below) at 900 University Bay Drive. 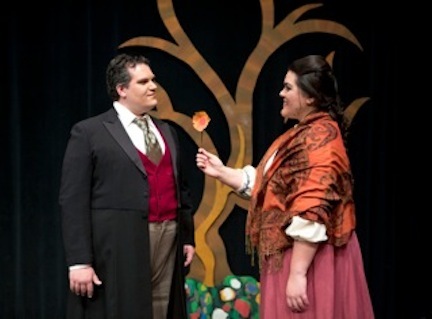 Most of the singers will appear in this year’s productions of Benjamin Britten’s Albert Herring this fall and Wolfgang Amadeus Mozart’s The Magic Flute in the spring. 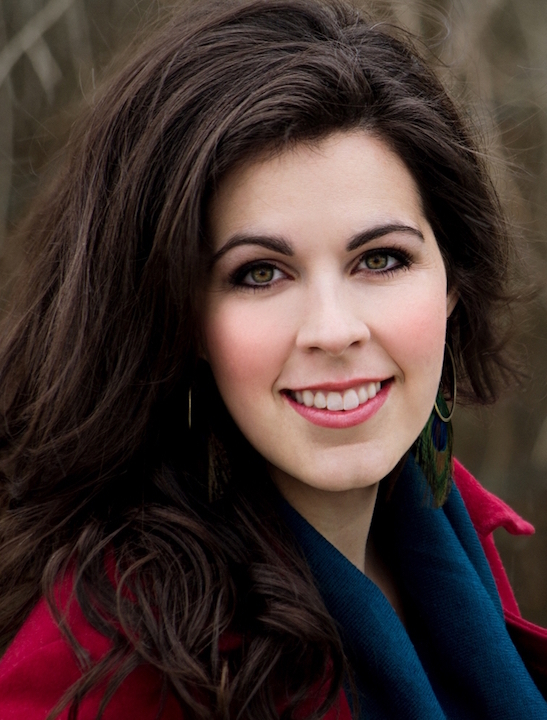 But one singer -– soprano Shannon Prickett (below top) – is an alumna returning from her current work as Resident Artist at the Minnesota Opera. 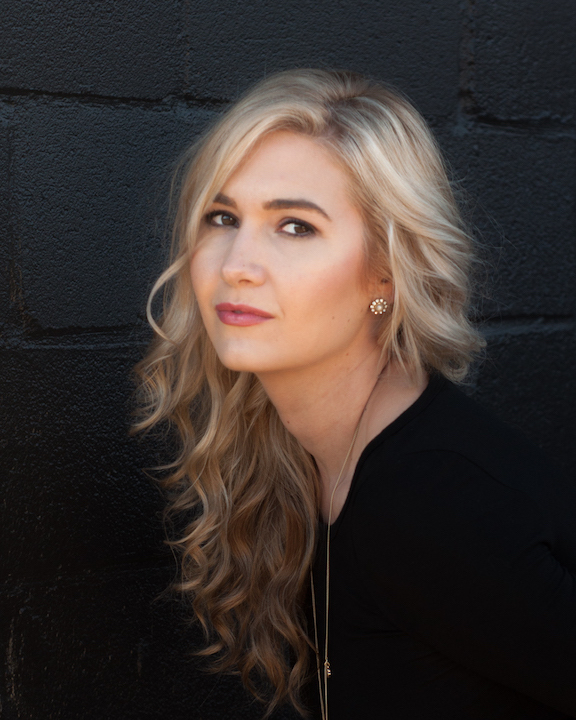 While in Madison from 2011 to 2013 and working on her Master’s of Music degree, Prickett performed lead parts in Puccini’s La Bohème, Mozart’s Don Giovanni, Luigi Cherubini’s Medea, Pietro Mascagni’s L’amico Fritz, and Verdi’s Requiem. 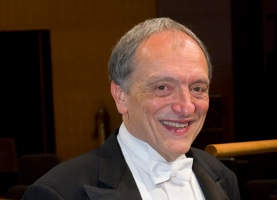 Other singers will take on arias by Mozart, Donizetti, Bellini, Richard Strauss and even Flanders and Swann: That number requires good humor as well as pianistic skill from the accompanist, and will provide a treat for fans of the multi-talented and critically acclaimed Thomas Kasdorf (below), another graduate of the UW-Madison. 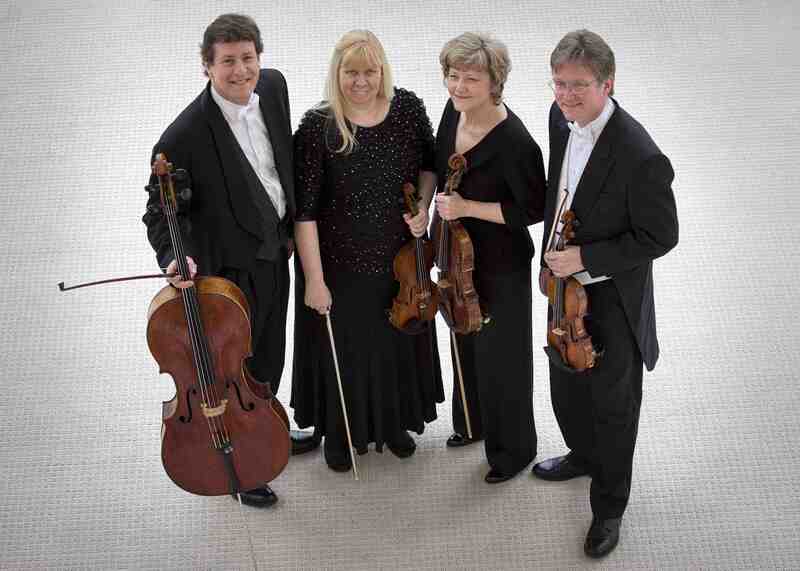 The concert is a benefit for the University Opera that sponsored by Opera Props, which supports the University Opera. 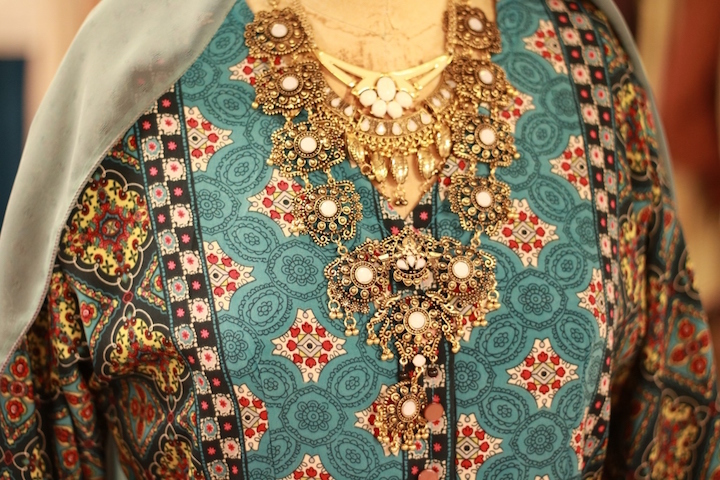 Admission is a contribution of $25 per person, $10 for students. A reception follows. 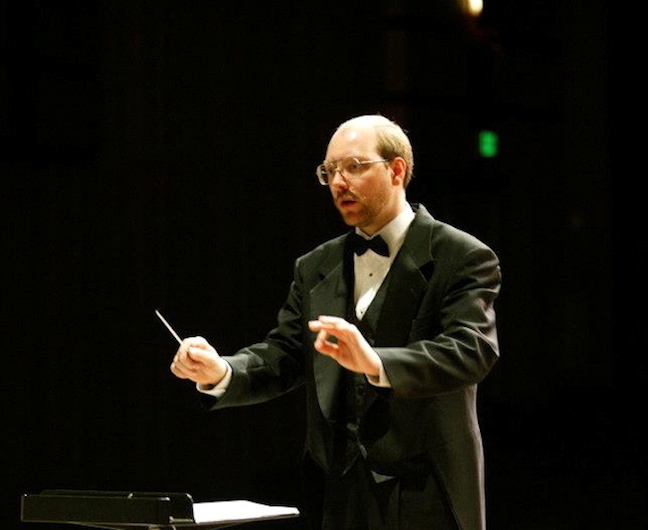 Classical music: Allan Naplan, the former general director of the Madison Opera, has been named as executive director of the Arizona Musicfest based in Carefree (don’t you love that name), near Phoenix. 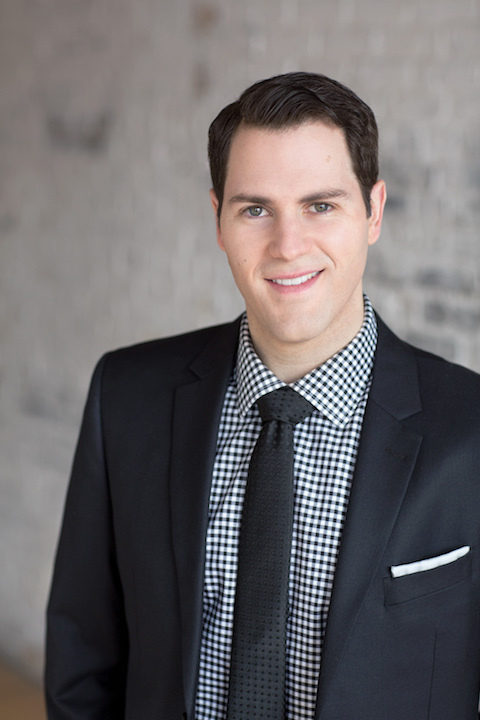 Last we heard of Allan Naplan (below), he had left his big new job with the Minnesota Opera just a year or so after taking it and leaving the Madison Opera after five years. That was two years ago. Rumors said his departure had to do with artistic differences, but no reasons or specifics were ever publicly given. Then many people wondered what would happen to Naplan’s promising career, and The Ear heard nothing. A friendly source tells me that the talented and amiable Naplan has, not unexpectedly, landed on his feet – even if it is not in the field of opera. True, the news comes a little late — but it is still news to me and maybe news to you too! 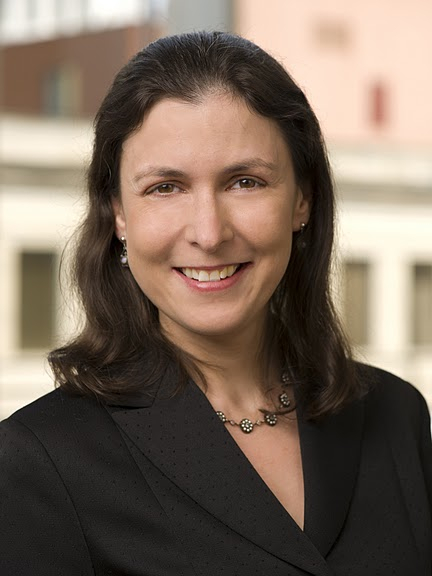 “Wednesday, January 23, 2013 – Carefree, Arizona – Ann Wallenmeyer, Chairman of the Board of Directors of Arizona Musicfest, today announced the appointment of Allan E. Naplan as Executive Director, effective February 1, 2013. “Allan Naplan has enjoyed a 20-year career as a performing artist, composer, educator and arts administrator. 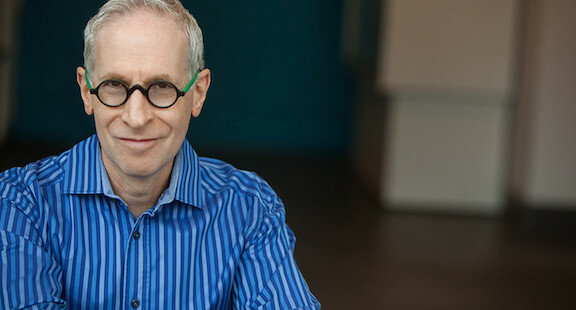 Most recently, he served as President and General Director of Minnesota Opera. 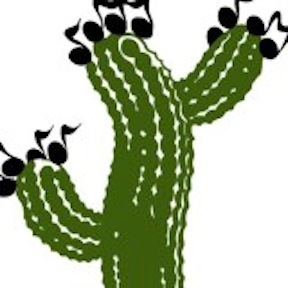 “Wallenmeyer thanked the members of the Arizona Musicfest Search Committee, led by Chuck Goldthwaite, former Chairman of the Board, for the excellent outcome of a national search. “Arizona Musicfest 2013 (Jan. 28 – March 4) presents top artists of classical, chamber, jazz, blues, country, rock n’ roll and opera, such as Denyce Graves, Keb’ Mo’ and Parker Quartet, in exceptional programs (created especially for Arizona Musicfest) at venues throughout the scenic desert foothills of Scottsdale and Carefree. 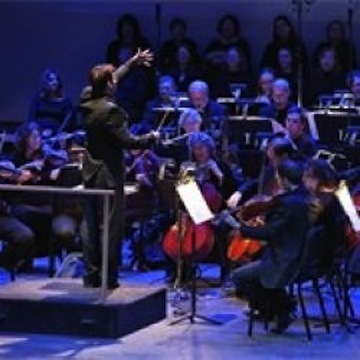 “At the heart of the Festival is the 60-member Arizona Musicfest Orchestra (below), comprised of musicians from the nation’s finest orchestras, the 100-voice Arizona Musicfest Chorus, and the Arizona Musicfest Chamber Players. 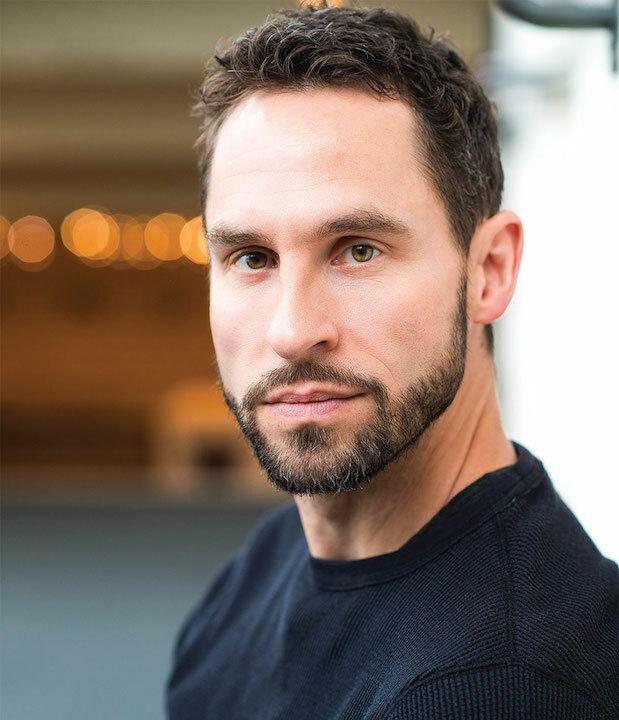 “Allan Naplan began his career as an opera singer and transitioned to administration as a member of the staff of Houston Grand Opera. 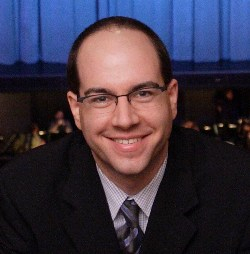 He served as Director of Artistic Administration of Pittsburgh Opera before being appointed General Director of Madison Opera, where he transformed the company through his leadership in fundraising, audience development, and financial management as well as repertoire and productions, educational programs, and community engagement. 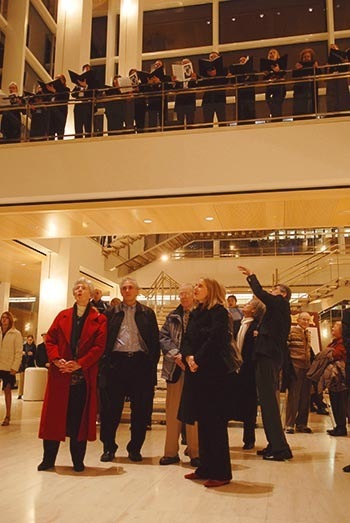 “At Minnesota Opera, Naplan enhanced the company’s community engagement and education activities, oversaw major gift cultivation, and introduced enhancements to the company’s marketing and public profile. 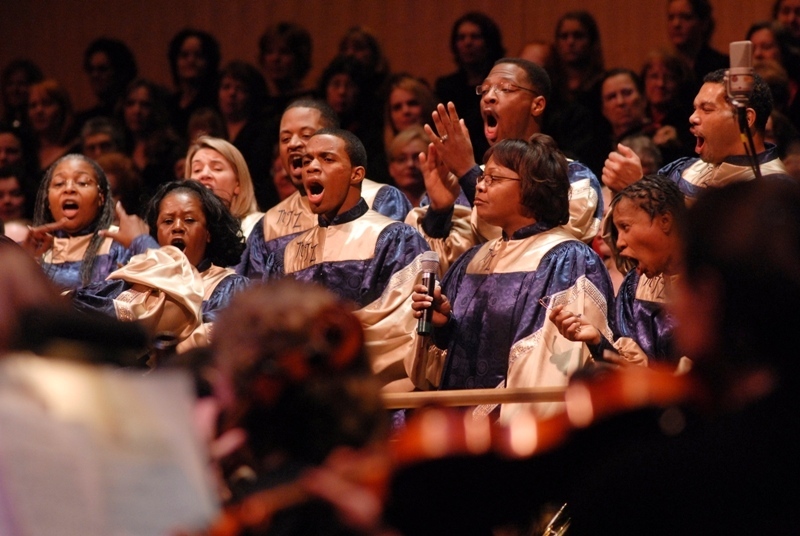 During his time with the company, the organization produced the world premiere of the Pulitzer Prize-winning opera by Kevin Puts, “Silent Night” (below). 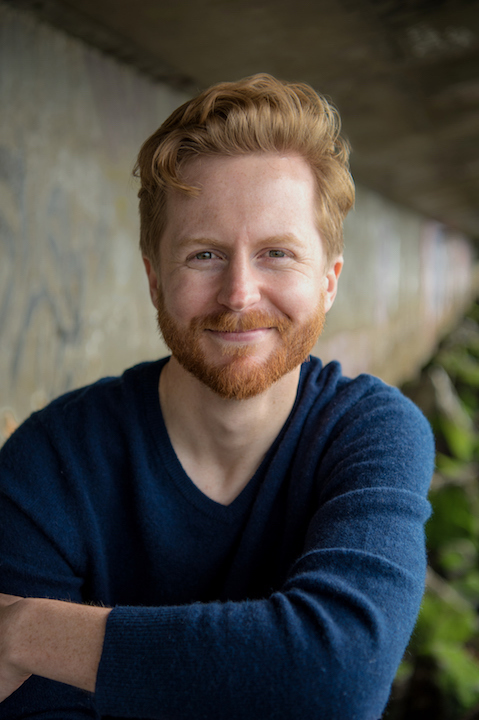 “As a published composer, Naplan’s works, which are standard repertoire for children’s choirs, have been performed and recorded in over 40 countries, and have been featured at Carnegie Hall, the Kennedy Center, the White House, and aboard the Space Shuttle Columbia. 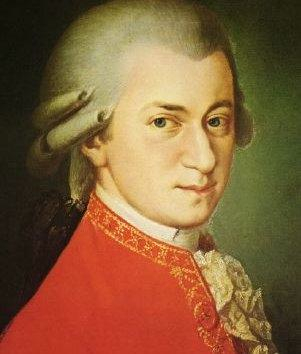 Classical music: The bigger concert hall doesn’t necessarily have the better music. 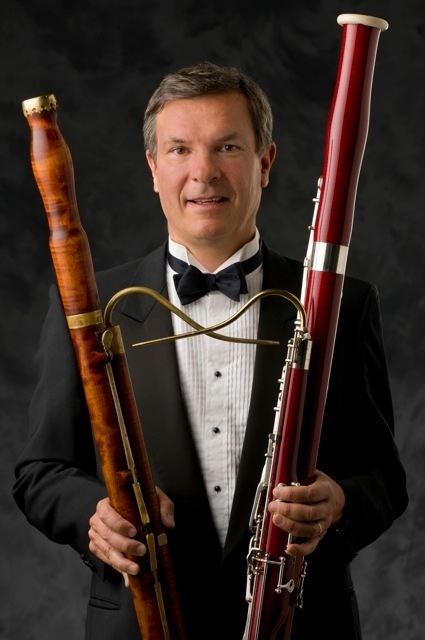 ALERT: On Saturday night ay 8 p.m. in Morphy Hall, UW bassoonist Marc Vallon (below, in a photo by James Gill, with modern and baroque bassoons) will perform a FREE concert on the University of Wisconsin School of Music Faculty Concert Series. The program will feature a variety of works by Georg Philipp Telemann; “Récit et Allegro “by Noël-Gallon; “Stick” by UW composer by Stephen Dembski; “Chamber Concerto for Bassoon and Strings” by David Dies and a selection of John Coltrane songs. This is A Tale of Two Concert Halls. One is Mills Hall (below), the largest concert hall at the University of Wisconsin School of Music. It has a capacity of about 700. 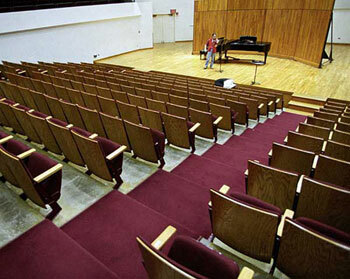 The second is the smaller Morphy Recital Hall, which is right across from Mills. It has a capacity of about 170. 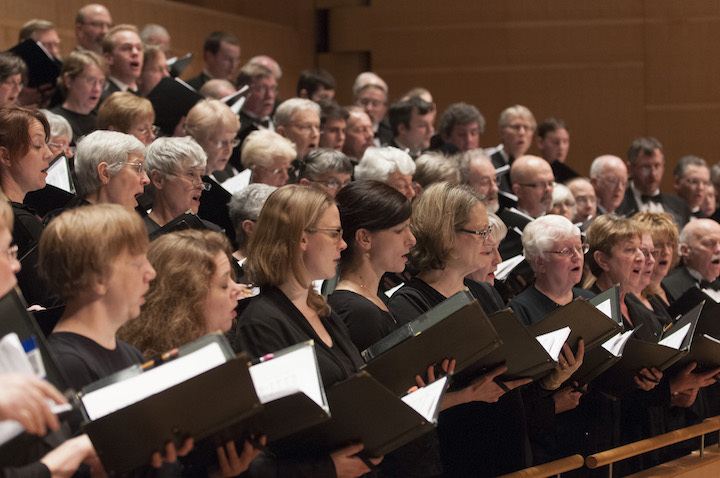 Mills is usually where the Faculty Concert Series takes place; where the UW Symphony Orchestra and Chamber orchestra take place; where the Choral Union and other large groups take place. 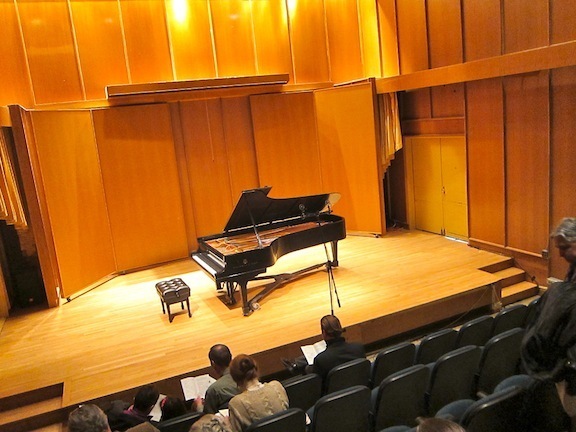 I know Mills mostly from smaller events such as student recitals, master classes and the annual concert by the winners of Beethoven Sonata Competition. But last Thursday night, Oct. 25, provided a wonderful example of how you cannot and should not use the size of the hall to judge the quality of the music. 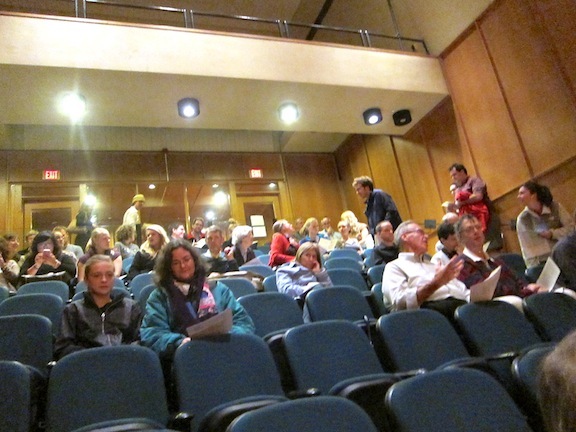 Most people in line were waiting to get into a flute recital that featured Stephanie Jutt with acclaimed pianist Christopher Taylor and cellist Trace Johnson. That was in Mills Hall and turned out to be, I have no doubt, a memorable concert. 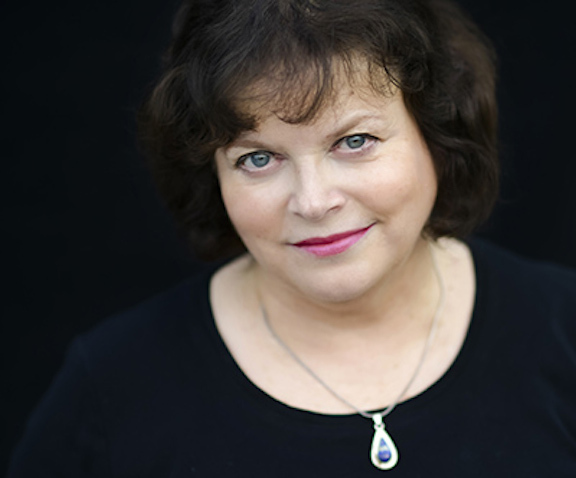 But The Ear was going to the warm and woody Morphy Hall to hear a concert that was advertised simply as an appearance by the soprano Jamie-Rose Guarrine and keyboardist-composer Scott Gendel. That concert turned out to be so much more than was advertised. Despite the comparatively small, though enthusiastic, attendance (below) and empty seats, the concert proved to be a perfect Homecoming event. 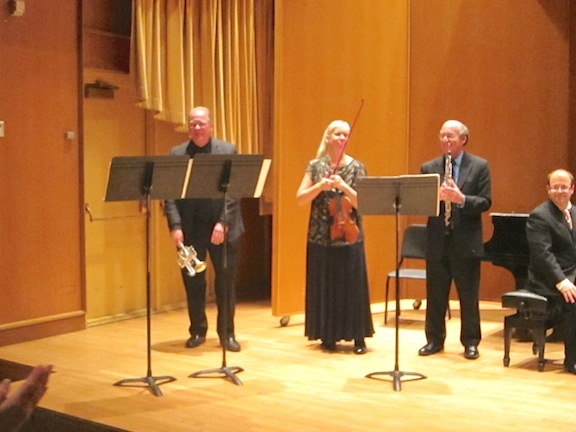 These two distinguished and talented alumni, who have gone on to big careers as singer and composer, were also joined in Baroque music by UW oboist Marc Fink, Pro Arte Quartet violinist Suzanne Beia and UW trumpeter John Aley (see the three below). In perhaps the most touching moment, her teacher of 12 years, UW tenor James Doing, joined Guarrine on stage for a warm and touching Nocturne by Donizetti. So it was indeed a reunion in so many ways. As I said: A perfect event for Homecoming. Other things only added to the concert. 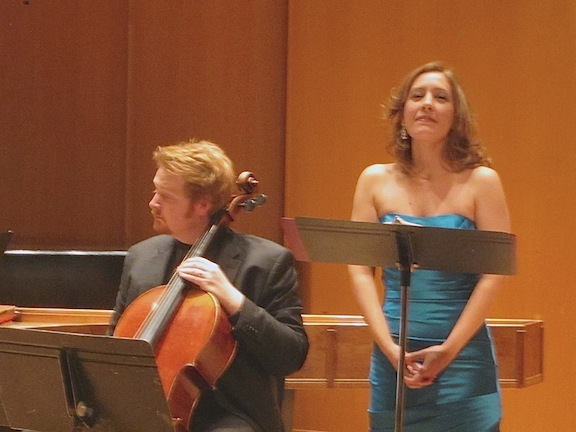 The Baroque arias by Handel, Bach and Alessandro Scarlatti were wonderful – light, transparent, lyrical and soulful. 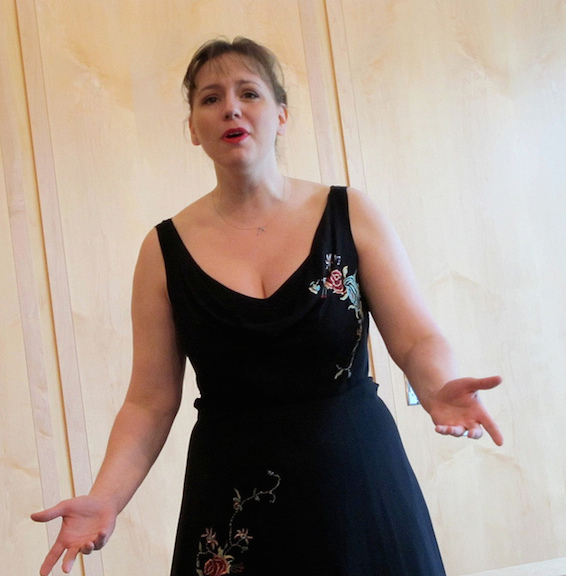 Guarrine’s singing of bel canto from Donizetti and Bellini was admirable. And she sang two lovely songs by Gendel, who talked a bit about his music. 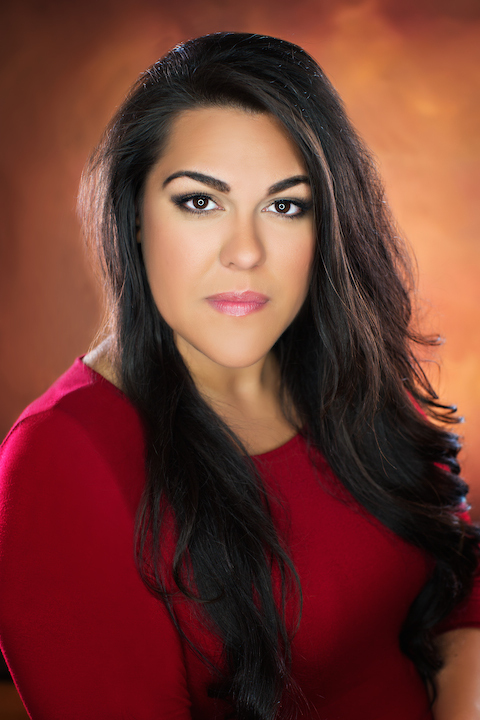 As for Guarrine, who has sung locally with the University Opera and the Madison Opera as well as the Santa Fe Opera, the Minnesota Opera and many others, she is a voice to continue to watch as her career will no doubt continue to blossom. Her pitch is impeccable, her tone is beautiful and her diction is excellent. She has stage presence. And she has power to spare. 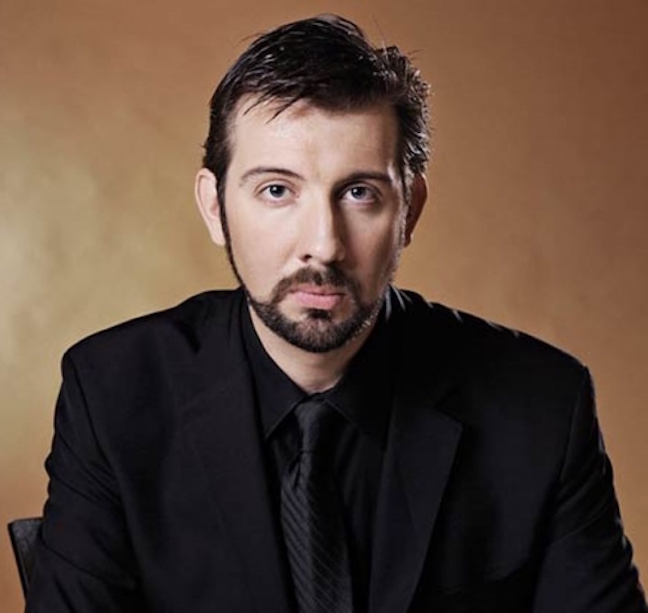 Gendel, who not only an award-winning composer but also a professional opera rehearsal pianist and vocal coach played difficult piano parts powerfully. His playing is not shy or timid. But Guarrine was never drowned out. She easily held her own and then some in great balance. Here are links to individual websites that will convince you. No doubt I will see and you will see me many more time this semester in Mills Hall. But I also expect you will see me more than usual in Morphy Hall. I hope to see you there. 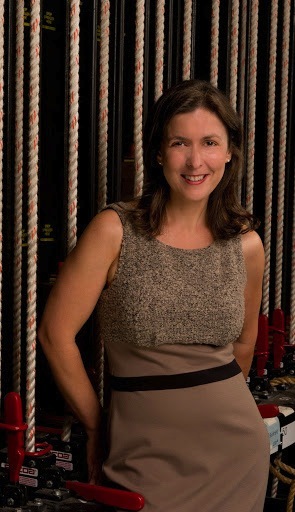 Classical music Q&A: Former Metropolitan Opera stage director Kristine McIntyre talks about Verdi’s “A Masked Ball,” which opens the Madison Opera’s new season this Friday night and Sunday afternoon. Smith’s inaugural season is an impressive one. 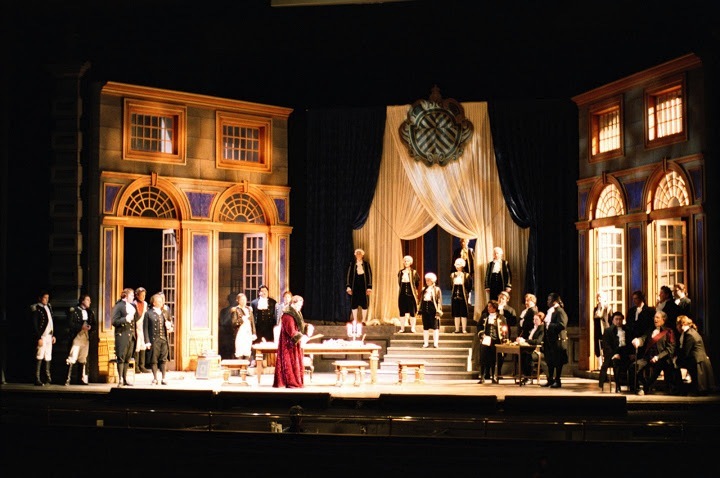 It that starts this coming weekend with Verdi’s “A Masked Ball” (“Un Ballo in Maschera”) in Overture Hall on Friday night at 8 p.m. and Sunday afternoon at 2:30 p.m.; then moves on to the Madison Opera’s first-ever Handel opera, “Acis and Galatea” Jan. 10-13; and concludes with Mozart’s masterpiece “Don Giovanni” on April 26 and 28 before going on to Opera in the Park on July 13 for a peek at next season. Tickets to “A Masked Ball” are $18-$118. 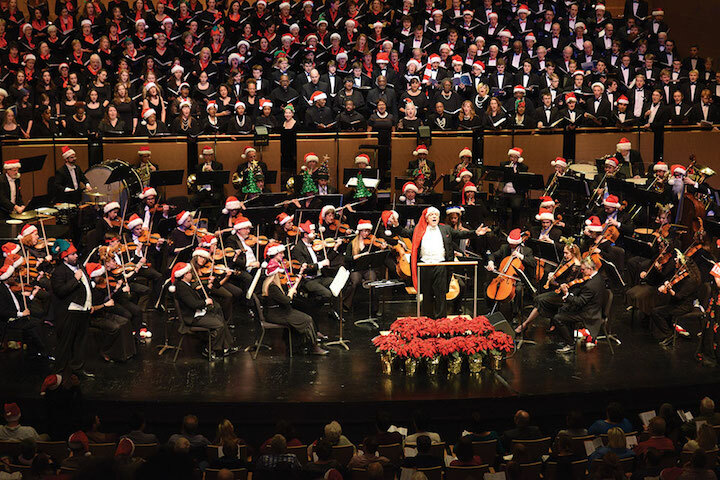 Call the Overture Center Box Office at (608) 258-4141. 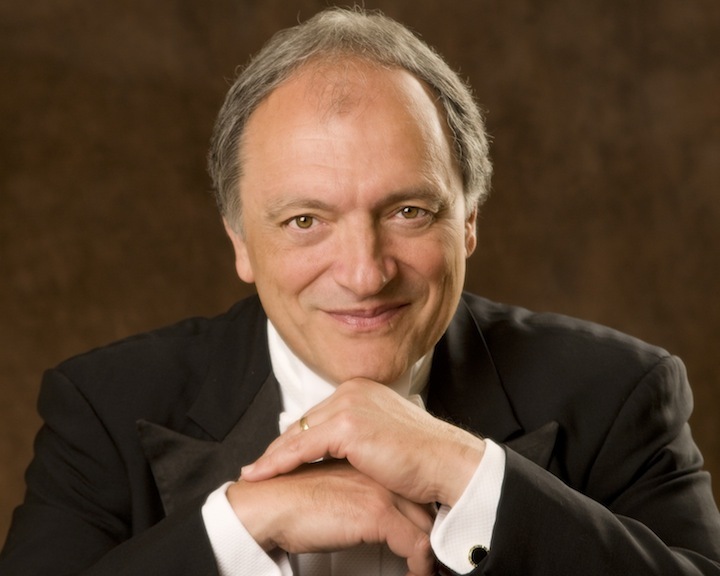 Maestro John DeMain (below), the artistic director of the Madison Opera who also specializes in opera and conducts it around the US and world, will conduct members of the Madison Symphony Orchestra, which he also heads. Can you briefly introduce yourself and your career? I fell in love with opera when I was 16 and decided pretty young that I wanted to be an opera director. My educational background is English literature and theater, so my process is to really delve into both the text and the psychological reality of the characters. 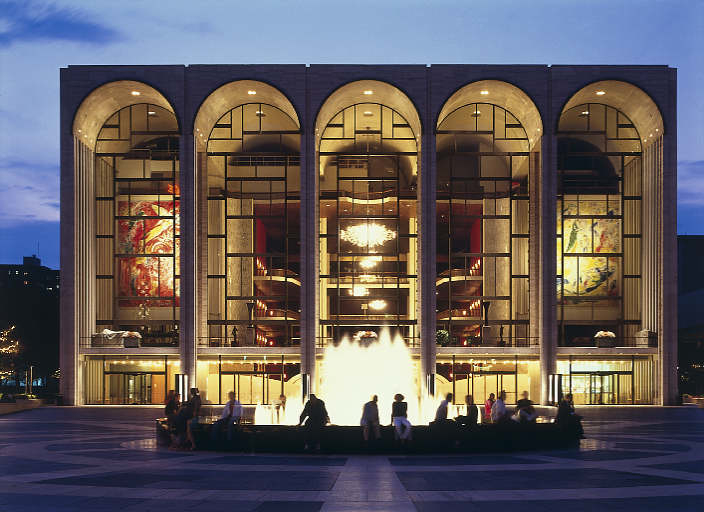 I began my opera career at the San Francisco Opera and then worked at the Metropolitan Opera (below) for 8 years where I directed revivals of Verdi and Rossini and assisted on new productions. 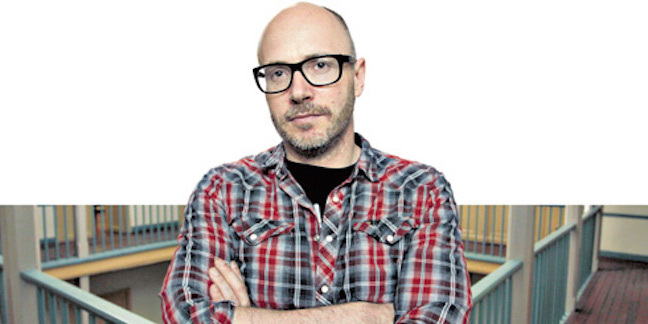 I left the Met in 2008 in order to focus on my own directing work, and now I direct all over the country. I’ve been fortunate to split my career between working on new and recent works and many new productions of classic opera repertory. 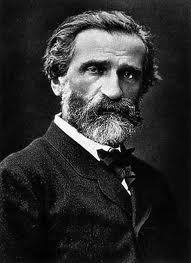 Where do you place “Un Ballo” in Verdi’s overall output and in the history of opera? 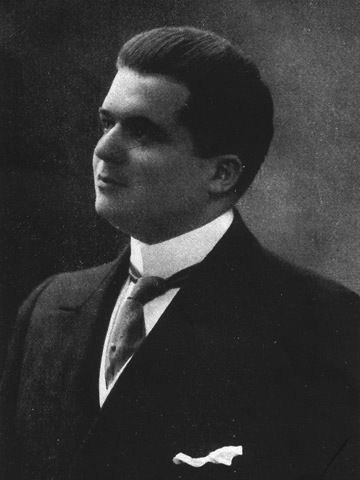 “Ballo” comes just after the period we refer to as Verdi’s middle years – after he composed “La Traviata” and “Il Trovatore” and “Rigoletto” so he was at the height of his dramatic and musical skills. It was a period in which he was also obsessed with Shakespeare and had spent years trying unsuccessfully to turn King Lear into an opera. What do you see as the relevance of the opera – its plot, characters and music — to today’s public? 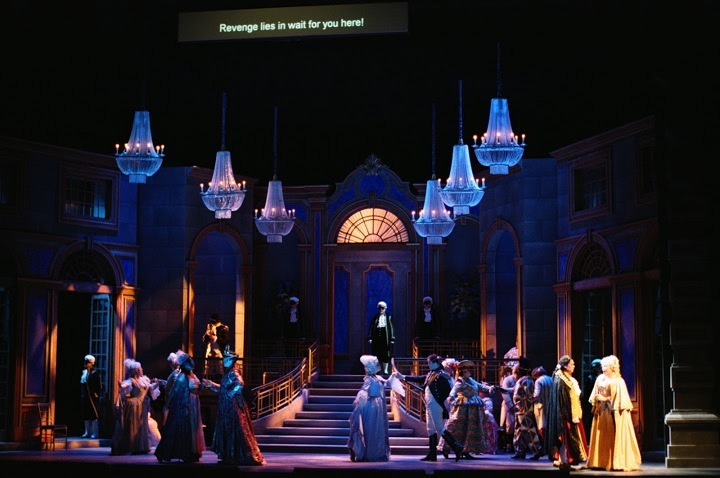 On one level, “Ballo” (the set is below, in a photo by Douglas Hamer for the Lyric Opera of Kansas City) is about a classic love triangle: a man falls in love with his best friend’s wife. That’s certainly a timeless theme. Those are profound questions that we are still trying to answer. So Verdi is telling both a human story and exploring big themes –- in that way, the work is really Shakespearean in scope, and like a great Shakespeare play, it’s universal. What specific aspects of this particular production or interpretation would you single out to the pubic as noteworthy or unusual and why? This is going to be a very dramatically satisfying production. We have a cast who are not only great singers, but also great actors who are deeply invested in the dramaturgy of the piece. And amazingly, they are all doing their parts for the first time, so the energy of discovery and exploration will be a huge part of the production. “Ballo” takes great actors because the characters are much more complex and realistic than in many other operas of the same period. The piece is also based on a true piece of history and I always think it’s fascinating when real life is elevated to the level of grand opera. 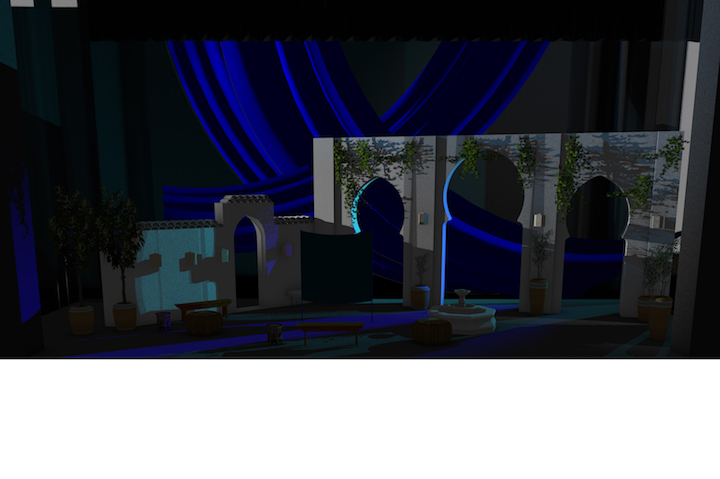 What would you like to say about working with the Madison Opera and this production? I’m thrilled to be back in Madison doing this opera, which is one of my favorites and one I’ve wanted to direct for a long time. I live in Portland, Oregon, so I actually feel very at home here in Madison. I’m having a great time working with the chorus, the local singers and the dancers who are in the cast. If anyone is on the fence about opera, or about Verdi, then I think this is the piece for you. It has great music that will be extraordinarily sung, but it’s also very powerful dramatically – and really entertaining. Verdi never lets the story or music lag, so the piece just tears along and suddenly you are at a masked ball and it’s all about to go horribly wrong. It is a real evening of music theater. 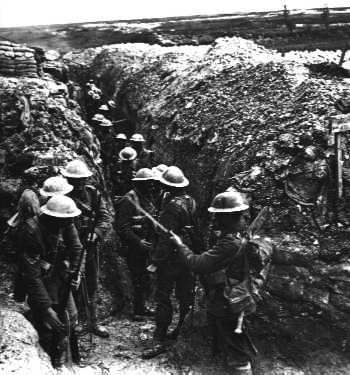 Classical music news: Michigan-born composer Kevin Puts wins the Pulitzer Prize for his World War I opera “Silent Night” two weeks after the Madison Symphony Orchestra performs his “Inspiring Beethoven.” Listen to excerpts of both here. Some people in Madison complain about not hearing enough contemporary or new music. But the reality is that we get to hear a fair amount of new music. 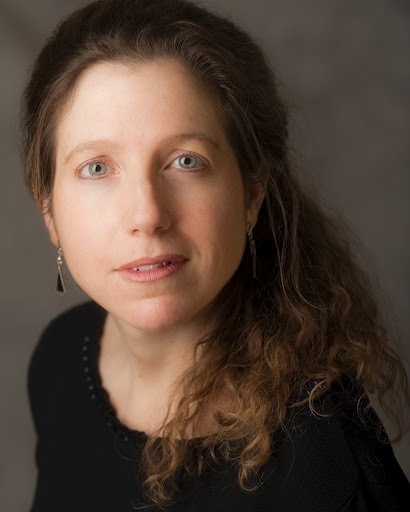 The acclaimed Lincoln Trio last week performed works by living women composers, including UW composer Laura Schwendinger, on the UW School of Music’s Guest Artist series. 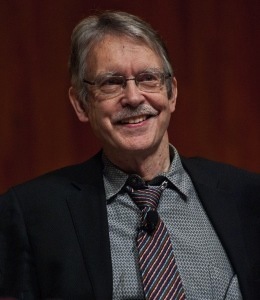 Then there is the UW Contemporary Chamber Ensemble, which this week performed the music of John Harbison (below) and UW alumnus Steven Burke. 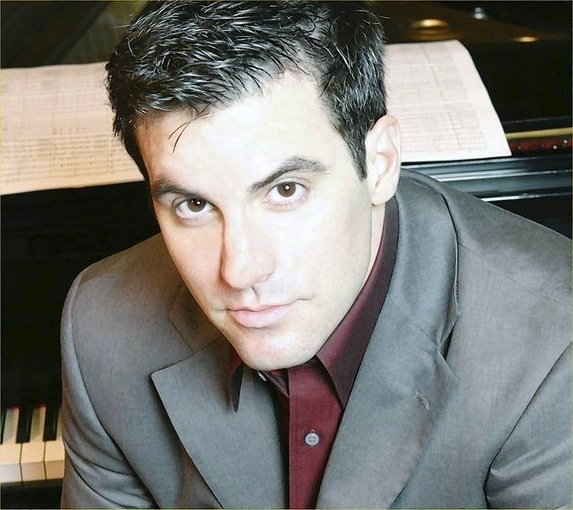 And this weekend the Madison Chamber Choir is giving the world premiere of a vocal work by San Francisco composer David Conte. Plus, the Madison chapter of Classical Revolution and New Music Everywhere (NEW MUSE) have already played contemporary works this season. I’m sure there are more I haven’t mentioned. 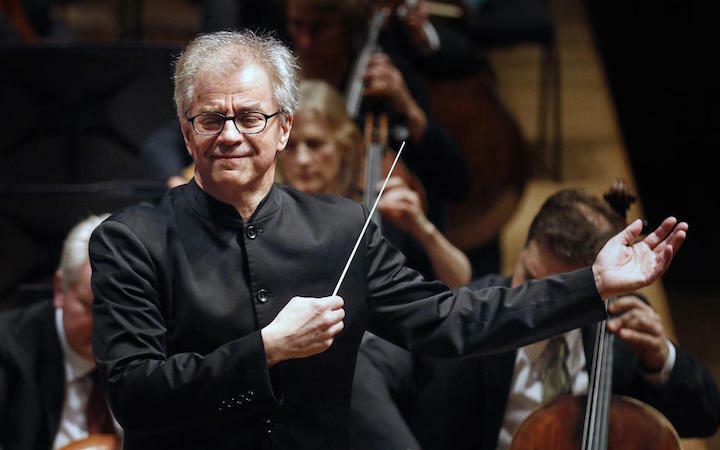 But perhaps the most newsworthy or timely performance occurred over the first weekend in April when the Madison Symphony Orchestra under John DeMain gave three performances of “Inspiring Beethoven” – based on Ludwig’s famous Symphony No. 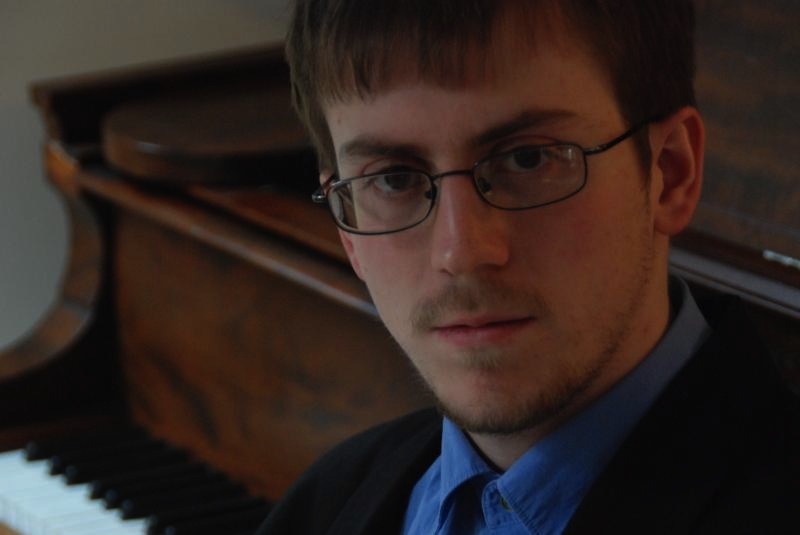 7 — by the young Michigan-born, Yale-trained composer Kevin Puts (below). 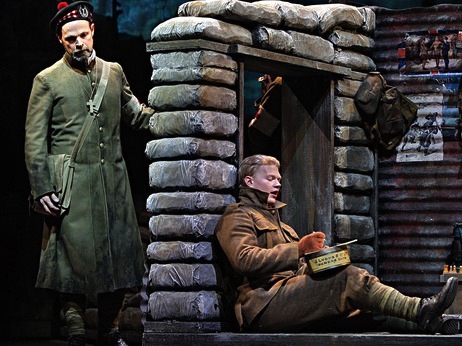 And now – just this week — comes news that Puts has won this year’s Pulitzer Prize for music for his opera “Silent Night” (below, in a photo by Michal Daniel for the Minnesota Opera) about the temporary, unofficial Christmas Truce between the Germans and the Allies during World War I. 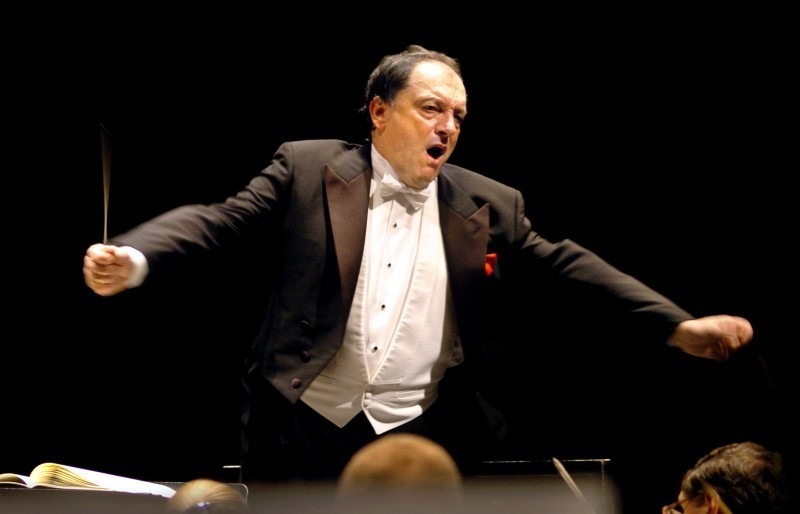 So, here is a shout-out by The Ear to Maestro John DeMain (below, in a photo by James Gill) and the Madison Symphony Orchestra for making such a prescient and pertinent choice. And maybe the Madison Opera, where DeMain is the artistic director, will stage a production of “Silent Night” in the not too distant future. Unfortunately, it was during spring break and I wasn’t able to attend the concert, at which French pianist Philippe Bianconi soloed in Beethoven’s Piano Concerto No. 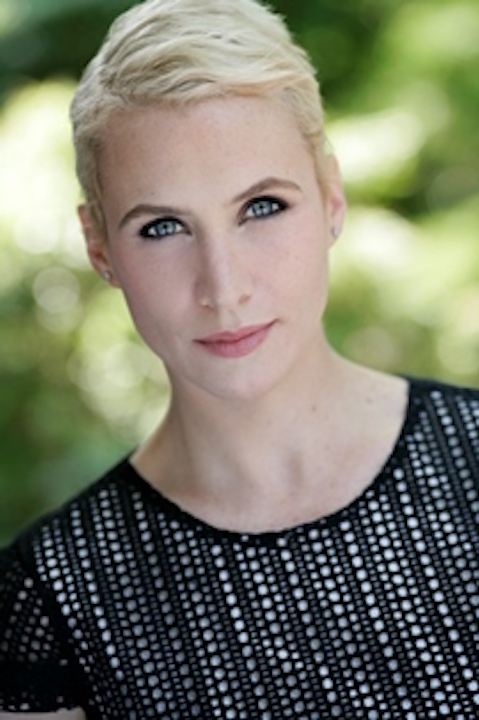 4 and then the new MSO Concertmaster Naha Greenholtz turned in a reportedly outstanding performance of Richard Strauss’ tone poem “Ein Heldenleben” (A Hero’s Life). 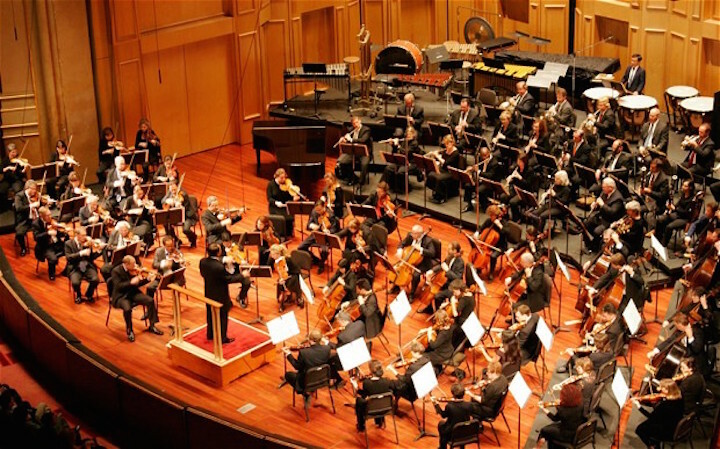 Now the fact that Puts has won the Pulitzer Prize makes me all the more sorry I missed the MSO concert. But it is the kind of piece – a short curtain-raiser that is a good prelude to a real Beethoven symphony or concerto – that I expect to hear again and see programmed soon. What did you think of the Puts piece that tried to capture Beethoven’s creative process? How did you find his music?